Since 2003, Healy Consultants PLC has assisted Clients with business registration in the United Kingdom. 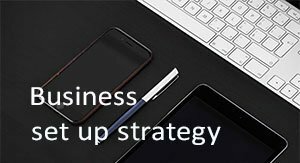 Our services include i) UK company registration ii) corporate bank account opening iii) employee recruitment iv) employee visa strategies and v) office space rental solutions. 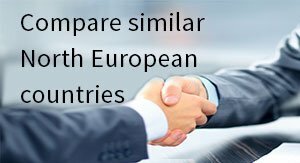 An English limited company is an ideal, flexible corporate vehicle through which European and international business can be conducted in the UK. Capital gains for companies selling subsidiaries (with at least a 10% holding) are tax exempt if the subsidiary was owned for at least 1 year. A foreign company can open a London corporate bank account and not be subject to UK tax if i) it has no sales in the UK, ii) no office in the UK and iii) its beneficial owners reside outside UK. However, using this structure will mean that the company is tax resident elsewhere, where additional liabilities will arise. This structure also removes access to the UK’s network of tax treaties. The United Kingdom is ranked 8th by the World Economic Forum in their Global Competitiveness Report 2017–2018, one of the world’s most comprehensive and well-respected assessments of countries’ competitiveness. The report offers invaluable insights into the policies, institutions, and factors driving productivity that benefit entrepreneurs interested in UK company registration. The United Kingdom has a robust infrastructure which is an essential aid for new businesses to grow. UK’s pro-business friendly nature towards entrepreneurs and graduates through its programs like the Global entrepreneur program and the Sirius program, along with its robust infrastructural facilities makes it an ideal place for business incorporation. The European Free Trade Association (EFTA) was formed in 1960, which the UK was a founding member. If the EU decides to change policies after Brexit, it could mean that the UK will lose its access to the single market. No UK banks onboard cryptocurrency-related business due to increased compliance costs and direct competition with the traditional financial system. To help us engineer the optimum UK corporate structure, please complete the 3-minute questionnaire below; then press the submit button below. 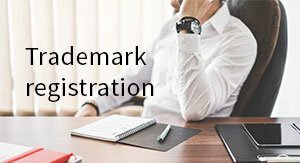 Why register a company in the UK? The UK’s internationally-renowned legal system, low 20% tax rate and highly-skilled labour force all make the UK a fantastic investment destination. The UK’s EU membership also increases its attractiveness for foreign direct investment and Healy Consultants supports keeping the country within the European Union. What is the name of the UK companies registry? Companies House manages company registration in each of the UK’s three company law jurisdictions: i) England & Wales ii) Scotland and iii) Northern Ireland. All UK companies are incorporated through this method. I want to know how to start a company in the UK. How do I register my business? To incorporate an English private company limited by shares, the shareholders must file information on i) the company directors, at least one of whom must be an individual (additional directors may be companies) ii) the shareholders iii) the memorandum and articles of association iv) the company’s registered address and v) the share capital and number of shares to be issued. The shareholders sign the company’s memorandum and articles of association and submit the package to Companies House. 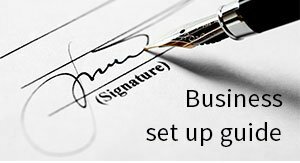 The entire process of establishing a business in the UK can be completed within a week. Do you have a guide to UK company registration? Yes – our “Incorporation Steps” page has a useful guide on setting up a company in the UK. Does a private company require a company secretary? English companies may appoint a company secretary, although there is no requirement to do so, nor are there any prescribed qualifications. 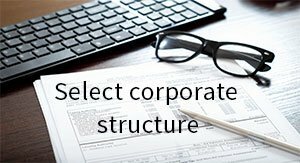 Public limited companies do need a company secretary, whose qualification requirements are set out by the Companies Act. Can foreigners register a company in the UK? 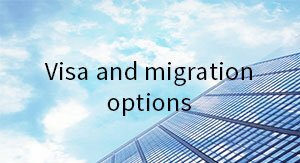 Yes, although companies with any foreign-resident directors or shareholders must used a paper-based application. Such applications take more time to complete than the online applications and attract slightly higher government fees. Even so, setting up an English company remains a quick and inexpensive option for registering a UK company. Thank you for your recent business inquiry, however I need a little more information from you. To recommend the optimum non-travel banking strategy for your business, kindly complete the 5-minute questionnaire below. In order of preference, list the countries where you want a corporate bank account? What are your preferred currencies? Do you need corporate visa debit cards? Do you need to have a local currency cheque book? What daily funds transfer limits do you wish to have in place? Do you need secure phone banking? Do you need the bank to act on fax instructions from you? Do you prefer monthly paper bank statements or weekly e-statements? Do you need phone sms alerts when funds transfers happen? For now, do you prefer Healy Consultants PLC staff to phone you, or just email reply some corporate solutions? What is your budget for the service you need from Healy Consultants Group PLC? 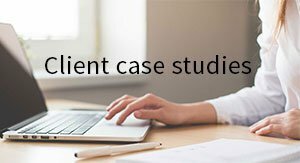 During the engagement, how often do you require an email from us; advising engagement progress? During the engagement, how often do you wish to speak with our senior staff; discussing problems and solutions? In what country are your resident? What is the name of the company that will own the new corporate bank account? Who will be the bank signatory? What are the expected US$ monthly incoming transactions? What are the expected US$ monthly outgoing transactions?